Technology tools that encourage effective communication and collaboration in the workspace also ignite employee engagement and businesses agility and the ability to scale more easily. If your team is stuck in meetings with each other all day, it’s hard to focus outward and grow your business. A service like Slack can help your team break the focus away from the everyday conversations that can take away from true productivity, and spend more time on growth strategies. A recurring question we hear is, “in today’s global economy with dispersed and often remote workers, how can we practice transparency and keep employees engaged?” Peoplescape Consulting doesn’t endorse one particular communications tool brand, but if you’re looking for a quick overview of the most popular workplace communication tools and our experience implementing it, keep reading. claims to unify the entire team’s communication. With over 6 million daily users, Slack is the real-time platform employees and contractors for organizations like NASA, Harvard University, 21st Century Fox, Amazon and now Peoplescape Consulting Group. As of September 2017, Slack had over 6 million daily active users, with approximately 2 million of those paying for the standard or plus product. Slack is the communication tool of choice for most companies because it successfully integrates all communication into one platform. With Slack, internal emails are reduced; leaving inboxes clear for external emails. It also takes the place of texts and IMS e.g. iMessage and Skype, which are usually on different platforms. Slack combines all three methods into one platform that can be accessed through your desktop or as an app on any of your smart devices. 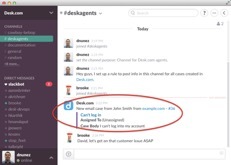 Slack also allows users or teams to create Channels. Instead of project and work messages being scattered all over your inbox or your IMs, you can organize your conversation with team members through the different channels. This simplifies and organizes your communications, so that threads about a certain issue are grouped amongst those needing that information easily, at their fingertips instead of searching through emails. But what about finding past information? Emails are quite simple because you can type a keyword in the search feature and any thread with that word will show up. Texts and IMs are not quite as easy, usually some scrolling is involved. Slack cuts the search time taking a cue from email software where you can easily type in a keyword or topic. It does better than email because the search shows up on the same page, eliminating multiple screen scrolling. Slack takes care of file sharing too by allowing co-workers to drag, drop, and share PDFs, spreadsheets, word docs, JPEGs within Slack conversations. Users can add comments, bookmark, and search these files or images. If you have an existing account with Dropbox, you can integrate it with Slack. Slack offers a multitude of platforms to integrate with, depending on your company’s needs i.e. Productivity, Customer Support, Finance, HR, and Marketing tools are just some examples. The downside to Slack can be being too plugged in. 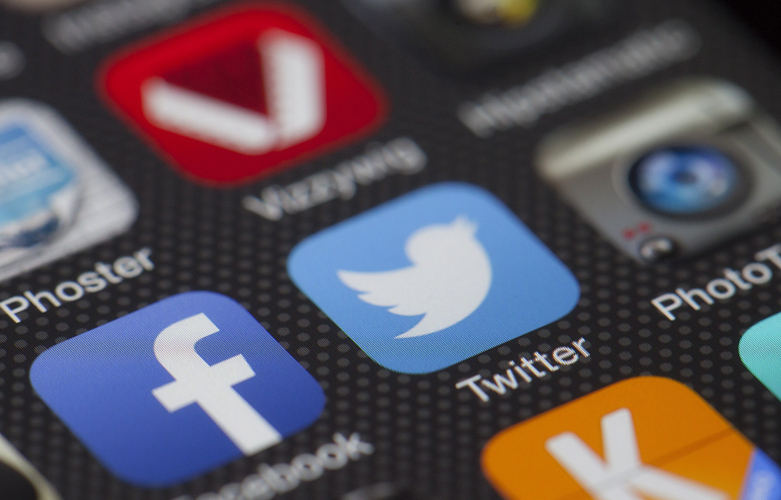 If you belong to multiple Channels and have Direct Message conversations with colleagues, you’re likely to get bombarded with endless pings. As opposed to email that you can ignore and respond to at a self-directed time. The Direct Message feature on Slack may pull you into a lengthier conversation. Slack can create a distraction, especially when used for shallow conversations between coworkers. Hence Slack for office gossip or personal life is a big no-no. Users should be aware that for enterprise accounts your company’s administrator and your boss can read even your private Direct Messages. Although some companies find Slack distracting to their employees, there are ways to promote deep work, when you focus without distraction, and limit the social aspect. This relies on users turning off notifications and limiting connecting to just the desktop app instead of both desktop and mobile. That said, a company culture respecting work-life balance would also ensure that managers are not pinging their direct reports after hours. Some European countries (France, Germany), have laws establishing workers’ “right to disconnect”, requiring companies with more than 50 employees to establish hours when staff should not send or answer emails. In New York City, a bill proposed on March 22, 2018, proposes making it unlawful for private employers to require workers to check and respond to email and text messages during non-work hours except in emergencies. It is important your team and your managers are sensitive to the pressure some may feel when their slack notifications invade their home life. Slack comes with all the vulnerabilities of cloud-based software. In early 2017, Slack disclosed a security leak that was patched up immediately. If exposed, however, it would allow an attacker to log into a Slack account as if they were the legitimate user of the account. From there, the attacker would have full access to look at chat histories, shared files, and any Channels the user had access to. Slack was able to fix the bug within five hours of being alerted. Luckily, a search through their logs did not show evidence of malicious activity. With Slack’s popularity, it’s inevitable to have competitors at its heels. #Mattermost is advertising itself as the “Slack-alternative” because it offers an open source, private cloud platform where enterprises have complete control of their communications unlike Slack, a closed source SaaS tool. For companies that work with sensitive information, self-hosting is the preferred communication method. #Wickr is another option for companies who handle highly confidential data. It uses end-to-end encryption; only the people on either end of a message can decrypt and read messages. The self-destructing timers for messages would allow users to live out their Mission Impossible spy fantasies. Time will tell if other security-focused communication tools beat Slack’s user base. For now, Slack’s short messaging approach encourages team collaboration and communication. Equipping your staff with a communication technology tool like Slack would improve efficiency, engagement and knowledge sharing in the workplace. At Peoplescape, our consultants use Slack as a tool for communication. We work remotely, at many client’s sites and on varying projects but with Slack it’s as if we are in the same office. Our email inbox is significantly reduced with mainly external emails coming through because our internal communication is neatly organized on Slack (unlike our desks). If you’re interested in finding out more, give us a call or send us an email. How Agile Organizations are Thriving Along with Their Gigsters in the Gig E... What Happens When Love Blossoms at Work?